Many of us have jumped on the dairy-free recipes train with the Done with Dairy Toolkit. Well done, bravo! As a result of the challenge, I’ve received a bunch of questions about goat dairy and the potential role it can play in the lives of folks that are sensitive to lactose. So today, I’m giving you the what, where, when, why and how of goat dairy so that you can make an educated decision on whether or not goat dairy may be right for you. 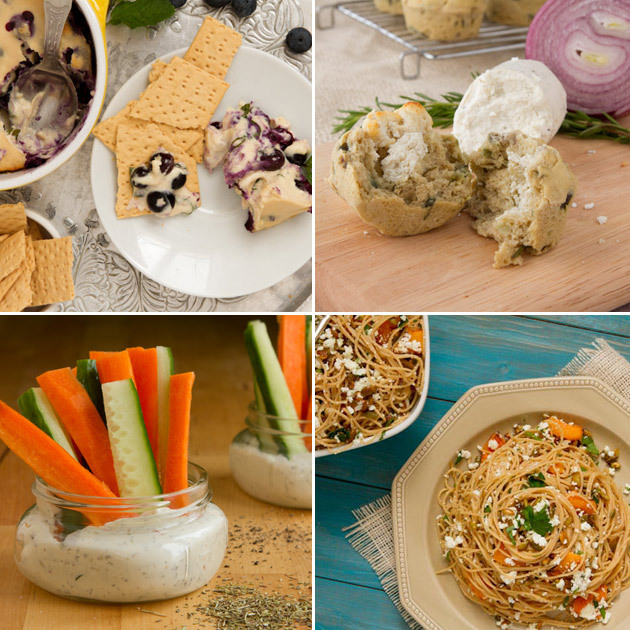 If your decision is a big fat, “yes”… well, I have 4 NEW goat cheese recipes that you can use to kick start your goat dairy journey. And if your decision is a big fat, “no”… I give you dairy-free alternatives so that you can still rock them recipes! 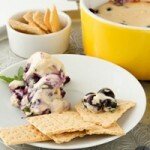 And below are 4 new goat cheese recipes that I shared with Happy Days Dairies last month. Don’t worry… there are dairy-free substitutions that accompany each one. 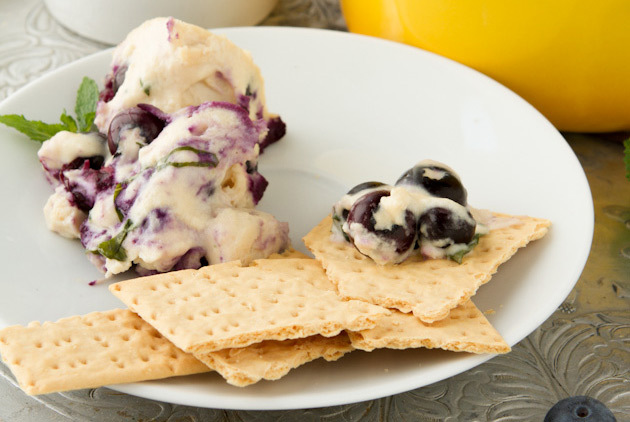 A gooey goat cheese spread with fresh blueberries and a touch of sugar. Perfect served with crackers, cookies or a warm piece of toast. Dairy-free alternative: use 150 grams of my vegan cream cheese and 2 tablespoons of non-dairy milk. A great way to start off the day or served as a side to any simple weekday meal. 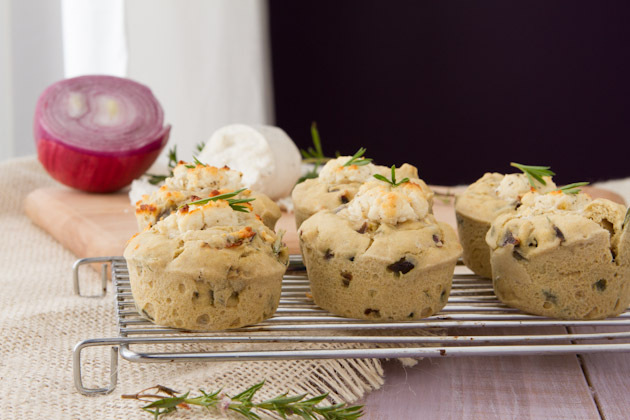 Dairy-free alternative: stuff each muffin with a mound of hummus! 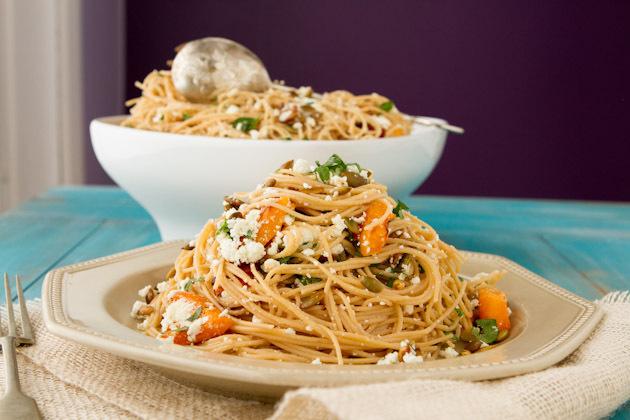 A meatless dish of roasted butternut squash, pumpkin seeds and feta. 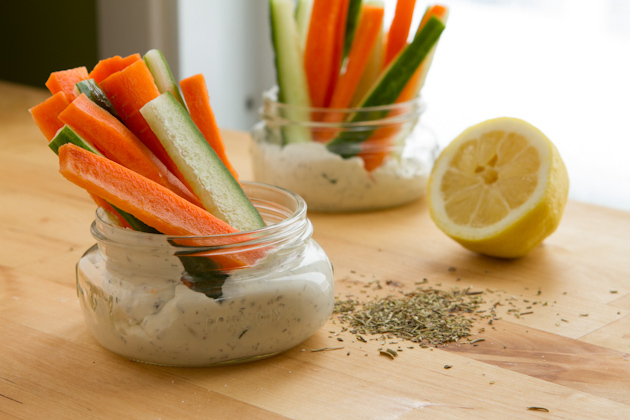 Dairy-free alternative: use 2 cups of cooked chickpeas and 1 tablespoon of lemon juice. I’d love to hear from you… Do you do your research before you change up things in your diet? Or, do you let your body be your guide and just jump into things that feel right? The more specific you are with your responses the better because your experience may be the solution that someone in our community is looking for! This post was sponsored by Happy Days Dairies. All opinions expressed herein are those of Healthful Pursuit Inc. and are not indicative of the positions or opinions of Happy Days Dairies. Thank you for supporting the brands that I believe in and choose to feature here.